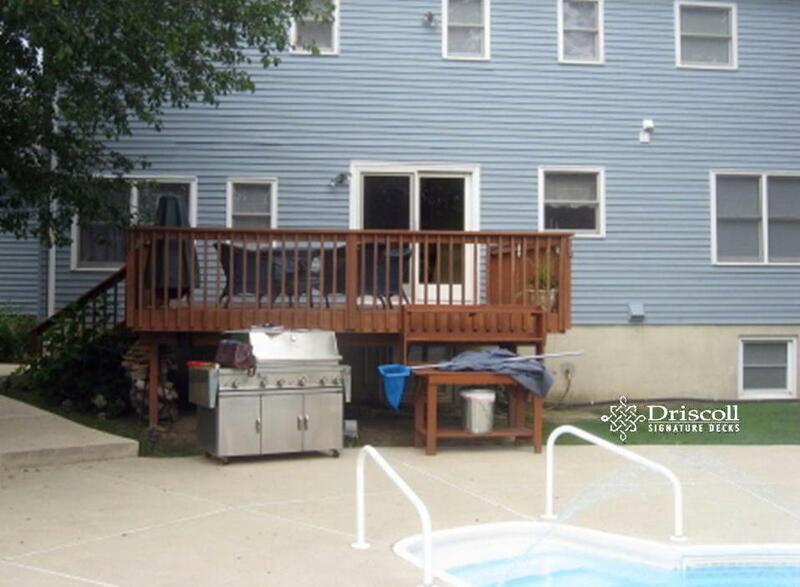 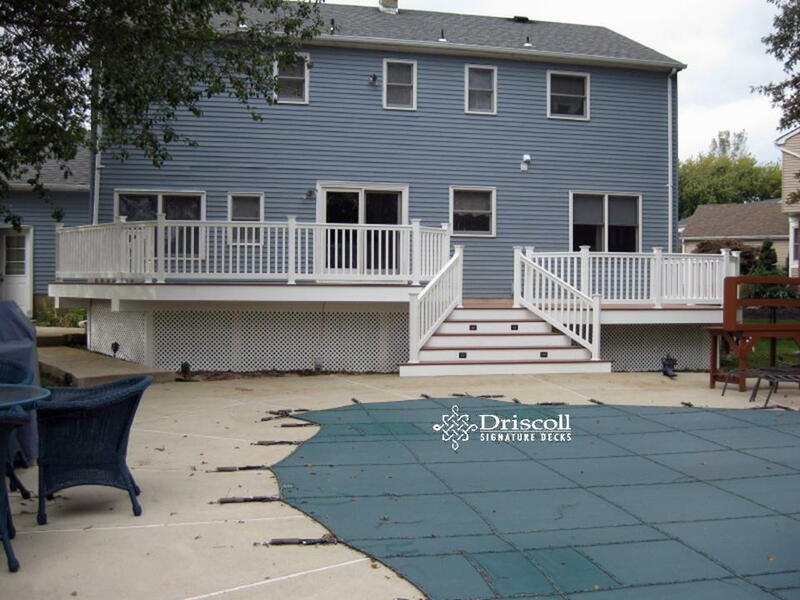 That old wooden deck just didn’t make it anymore along side this beautiful in-ground pool and Driscoll had a few ideas of how to make it one thousand percent better. 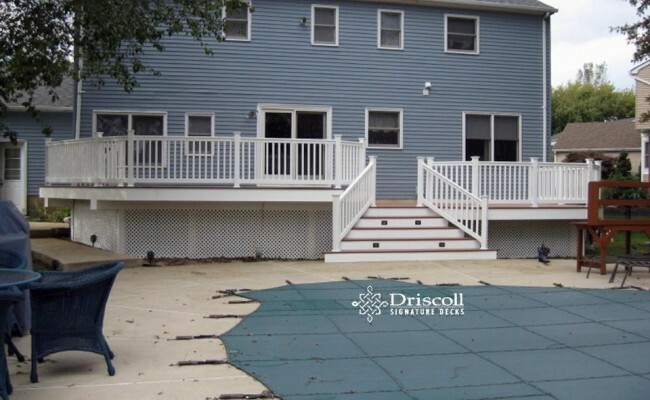 You will find quality deck designs, consultation and excellent craftsmanship when you search for Driscoll Signature Decks at Deck, Decks, Deck Builder, Deck Contractor, Decks NJ, Deck Builder NJ, Deck Contractor NJ, Ocean Twsp Decks, Decks Ocean Twsp NJ, Deck Ocean Twsp, Deck Ocean Twsp NJ, Ocean Twsp Decks, Ocean Twsp NJ Decks, Ocean Twsp Deck, Ocean Twsp NJ Deck, Deck Contractor Ocean Twsp, Deck Contractor Ocean Twsp NJ, Ocean Twsp Deck Contractor, Deck Builder Ocean Twsp, Deck Builder Ocean Twsp NJ, Ocean Twsp Deck Builder, Ocean Twsp NJ Deck Builder, Ocean Twsp NJ Deck Contractor. 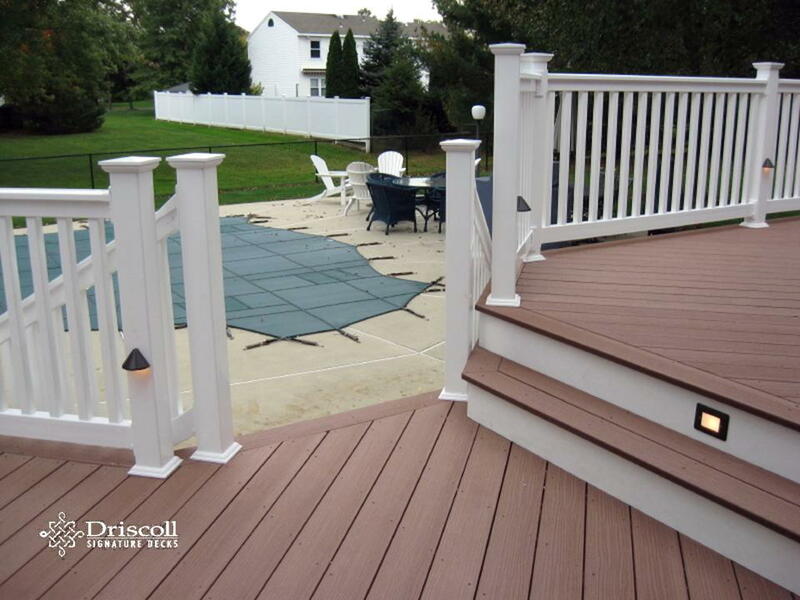 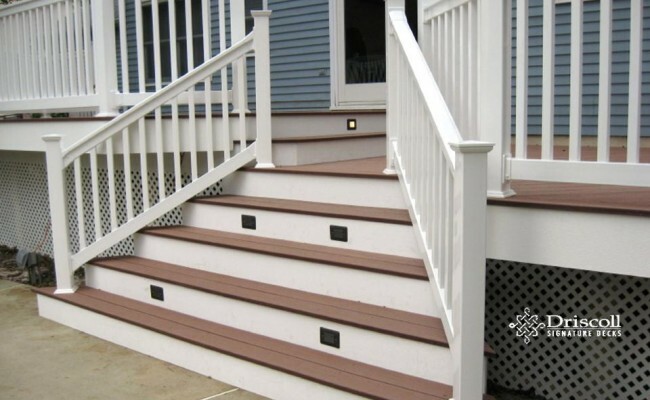 You will find quality deck designs, consultation and excellent craftsmanship when you search for Driscoll Signature Decks at Deck, Decks, Deck Builder, Deck Contractor, Decks NJ, Deck Builder NJ, Deck Contractor NJ, Ocean Township Decks, Decks Ocean Township NJ, Deck Ocean Township, Deck Ocean Township NJ, Ocean Township Decks, Ocean Township NJ Decks, Ocean Township Deck, Ocean Township NJ Deck, Deck Contractor Ocean Township, Deck Contractor Ocean Township NJ, Ocean Township Deck Contractor, Deck Builder Ocean Township, Deck Builder Ocean Township NJ, Ocean Township Deck Builder, Ocean Township NJ Deck Builder, Ocean Township NJ Deck Contractor. 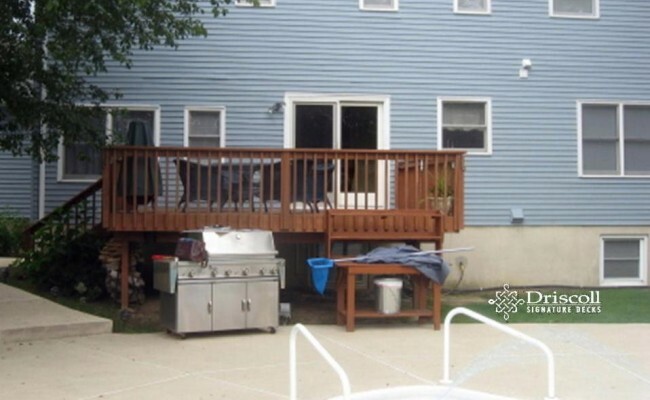 ..A FULL SIZE deck that used the entire houseline across, with room, and the built-up substructure, for a future spa. 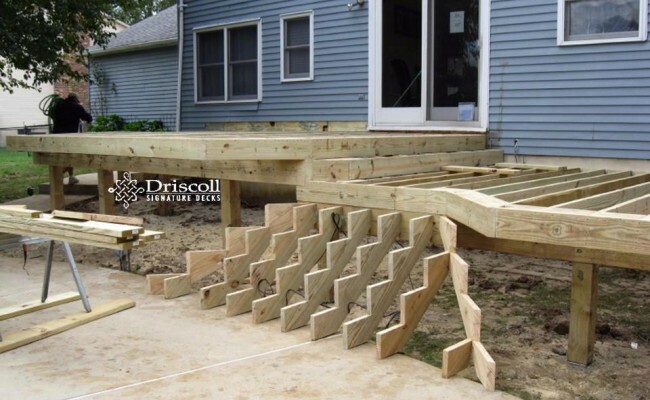 With Driscoll Signature ‘robust’ framing, but of course, and stringers set for our the flared stairs. 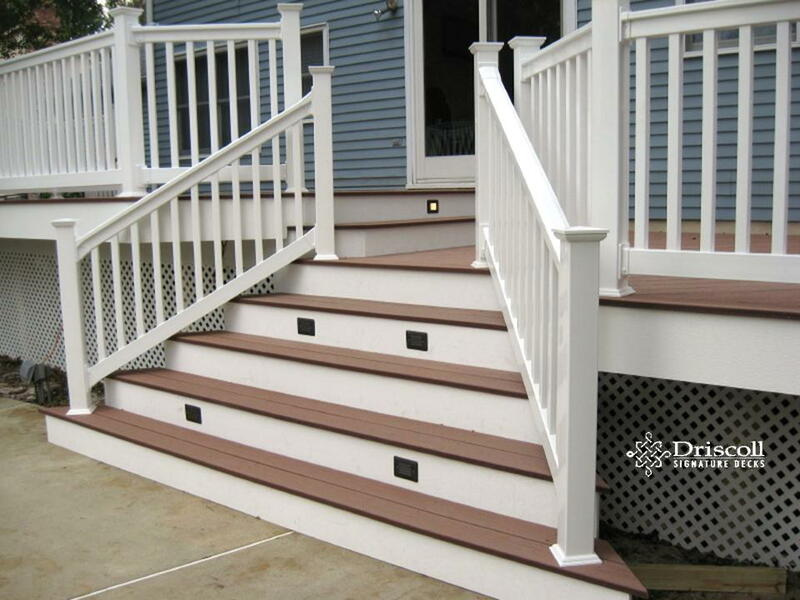 Composite decking board patterns with a double step-up to the walk-in slider, with lovo accent lighting. 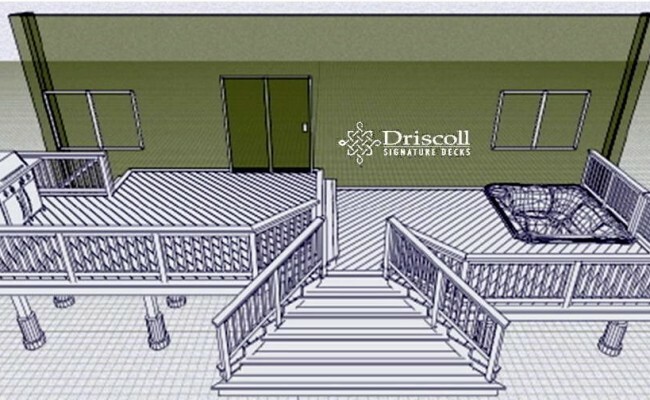 And, those finished Driscoll Signature flared stairs, right down onto the concrete patio..! 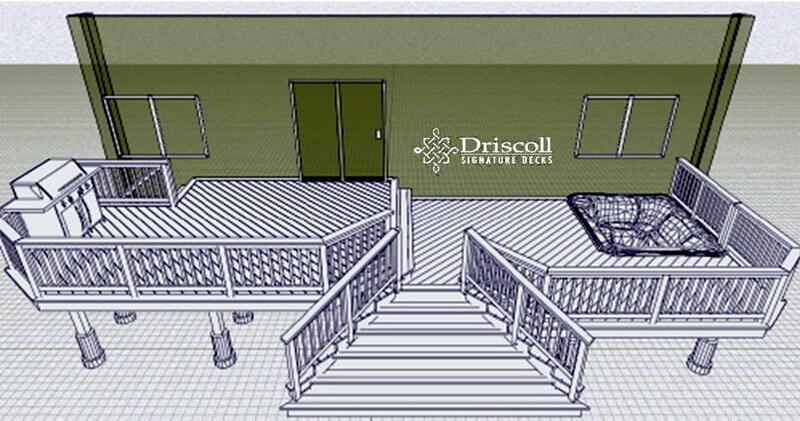 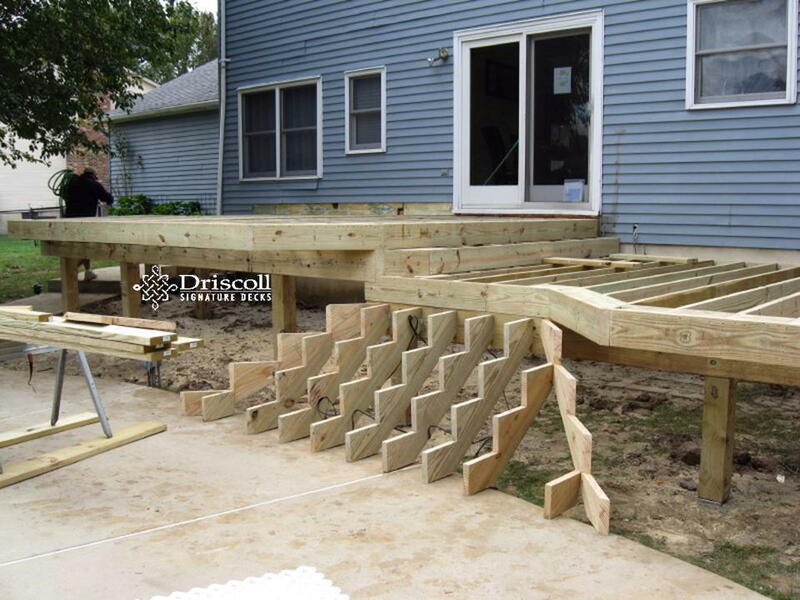 Now here’s a Driscoll Signature Deck fitting that fabulous pool!